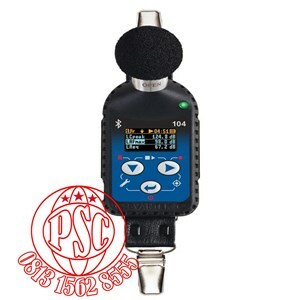 The DC112d/DC112 is a high performance dosimeter, the ideal instrument for measuring noise according to Directive 2003/10/CE, which adapts to technical progress the regulation on the health and safety requirements regarding the exposure of workers to the risks arising from noise The two models; DC112d and DC112 have exactly the same characteristics as dosimeters but only the DC112 is also a real time spectrum analyser in octave bands. Ideal for workers with a high degree of movement in the workplace, or work places where the noise level changes constantly. Simultaneous measurement of all parameters, including evaluation of hearing protectors. Keypad lock using a combination ofkeys. Projected information display during the measurement. Graphic screen : numerical and graphic display of functions measured. Real time frequency analysis in octave bands (63 Hz to 8 kHz). (Only DC112). Download port and power supply through USB port. Projection of parameters; evaluation of exposure to noise for measurement times shorter than the exposure time. Lapel microphone adaptable to helmets and earplugs. 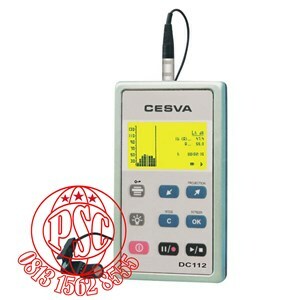 The model DC112d can be converted in to a DC112, for which it is necessary to acquire the module EF112 either at the time of purchasing the instrument, or subsequently.